Use your website to fill your calendar with appointment requests! Do you work by appointment, provide reservations or are you teaching classes? 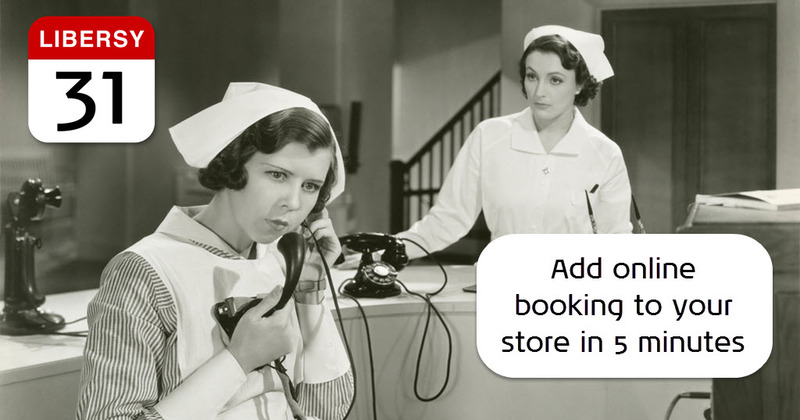 Adding an online booking system to your store is very easy and effective! Just create your categories and services, lessons, or workshops in your Libersy Calendar account, and they will be automatically added to your online store. This can be, for example: a 30-minute massage, women’s haircut, extensive facial treatment, or yoga class. 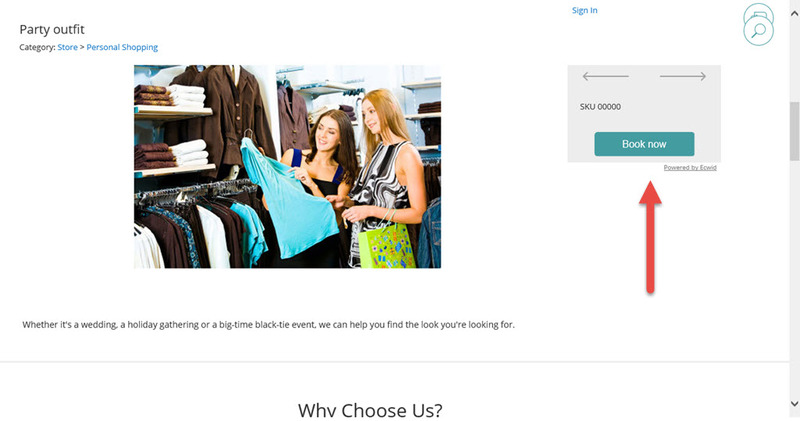 Your customers can easily book an appointment online right from your store. From the admin interface you can accept or decline appointment requests, and manage your customers. 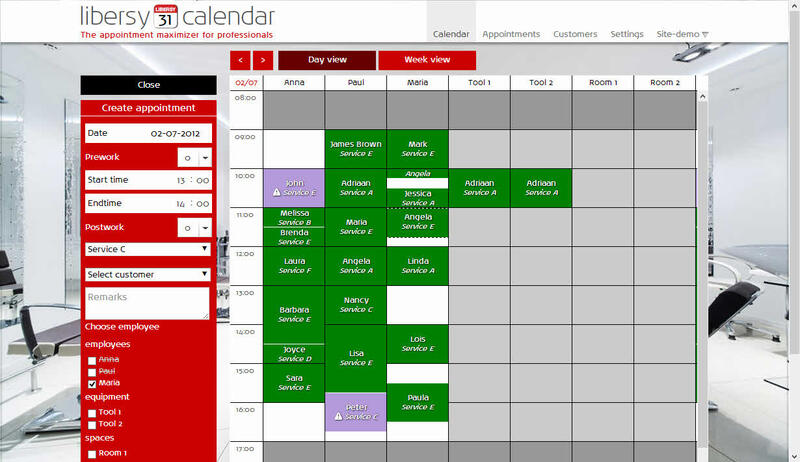 You can easily set your opening hours, add your staff, and set working hours. Shoppers will be able to select a service and choose a free timeslot that suits them best. 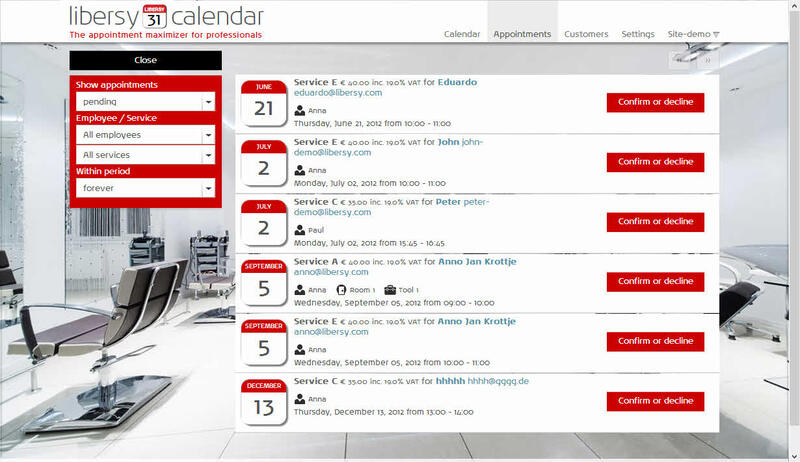 Libersy Calendar is fully integrated with your store, and getting started is seamless. 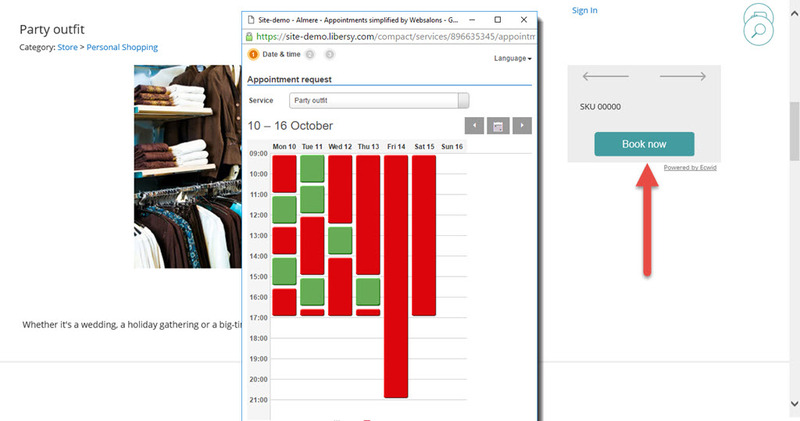 Libersy Calendar allows for 2 employees to be booked online for 20 services. Upgrades for more are available.